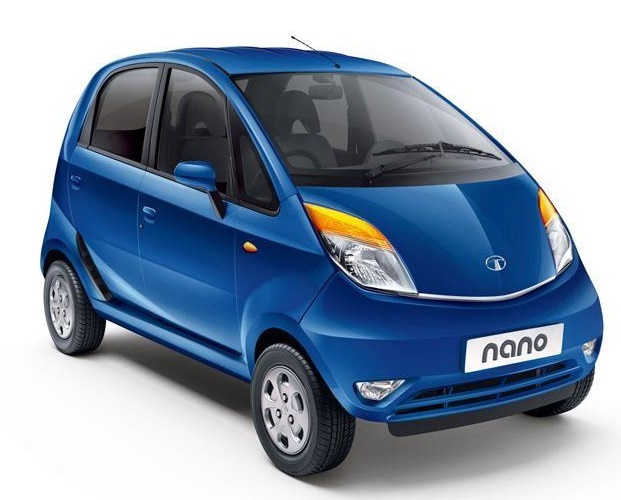 Tata Motors have the Nano eMax with CNG fuel option. 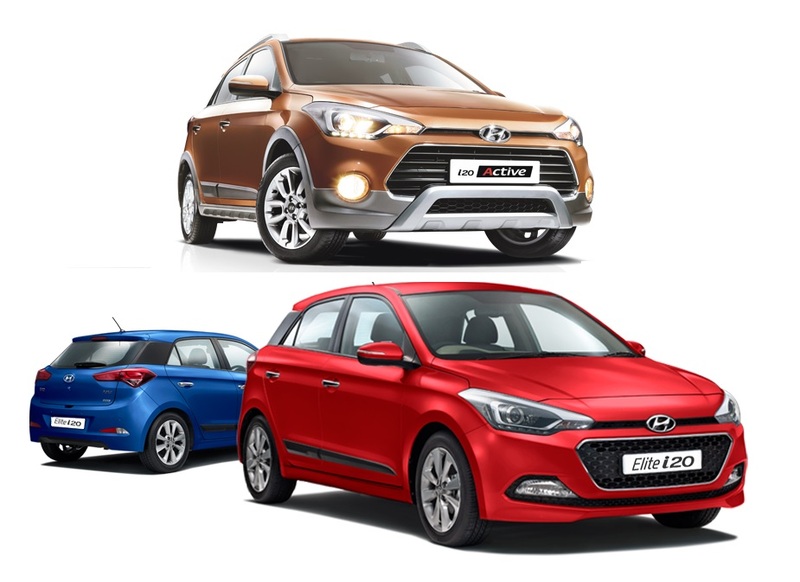 The car which has been caught testing numerous times is launched in two variants: CX and LX. 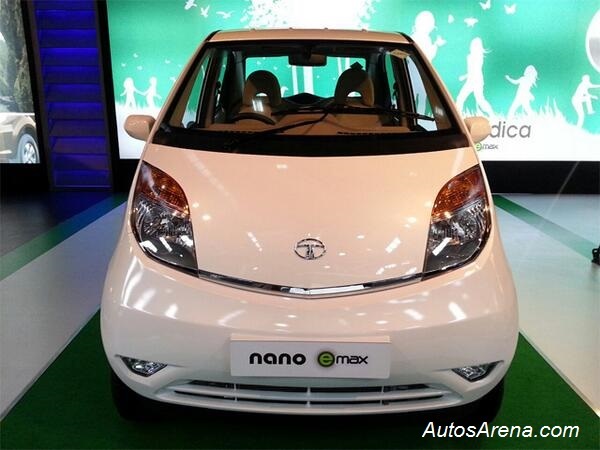 Tata Motors had unveiled the Nano eMAX and other range of cars at the Horizonext event, held in Pune, in June 2013. 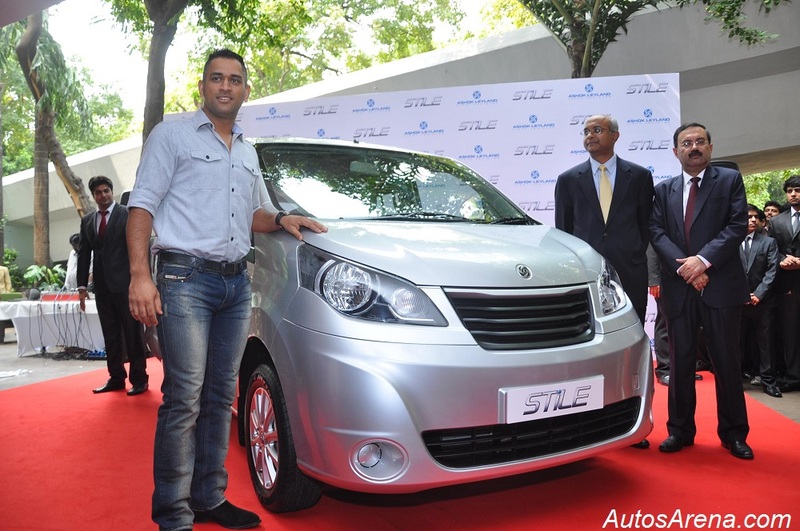 The small wonder is powered by the same fuel efficient motor with CNG and Petrol bi-fuel system options. 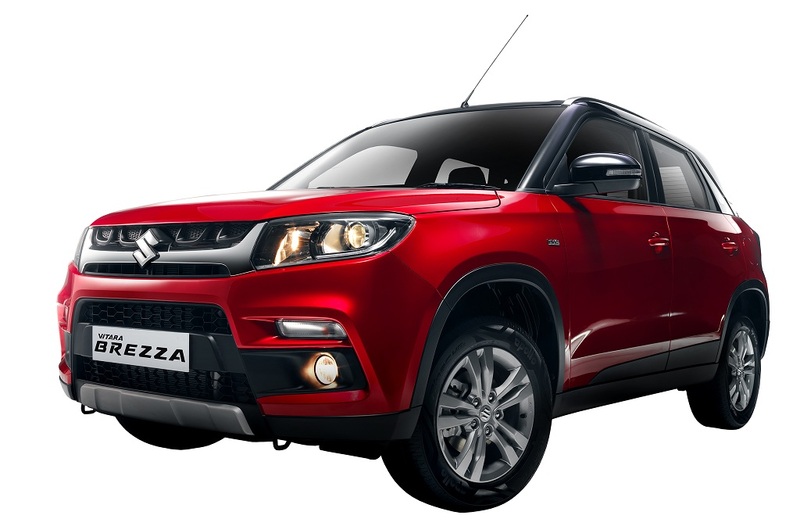 The sequential gas injection system is calibrated with an intelligent advanced Engine Management System (EMS) for smart switching between CNG and petrol fuel system which allows the vehicle to sense when the driver needs more power and thus, automatically shifts to petrol mode. 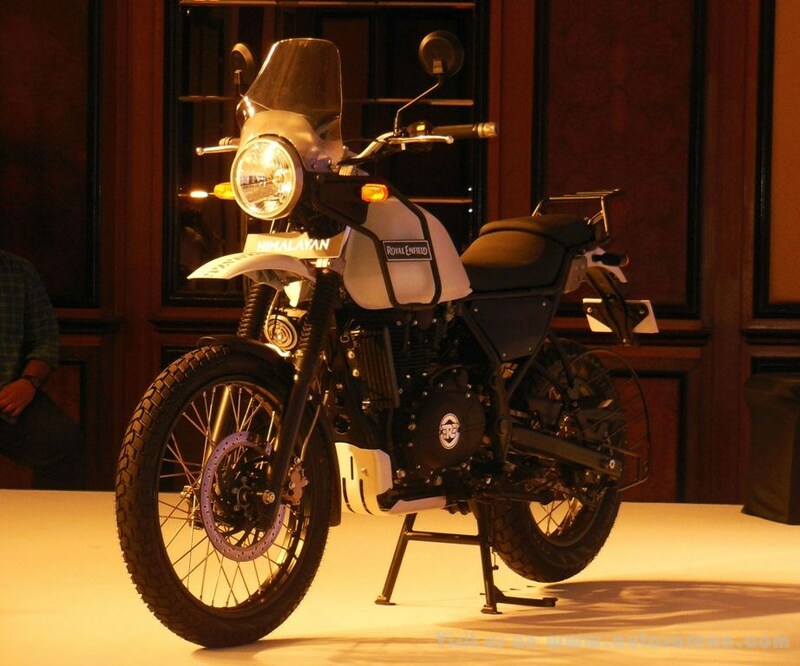 Switching between the two modes is effortless thanks to the push-button fuel type selector. Unlike other CNG cars, the Nano can be started on CNG and not necessarily needs to start on petrol. 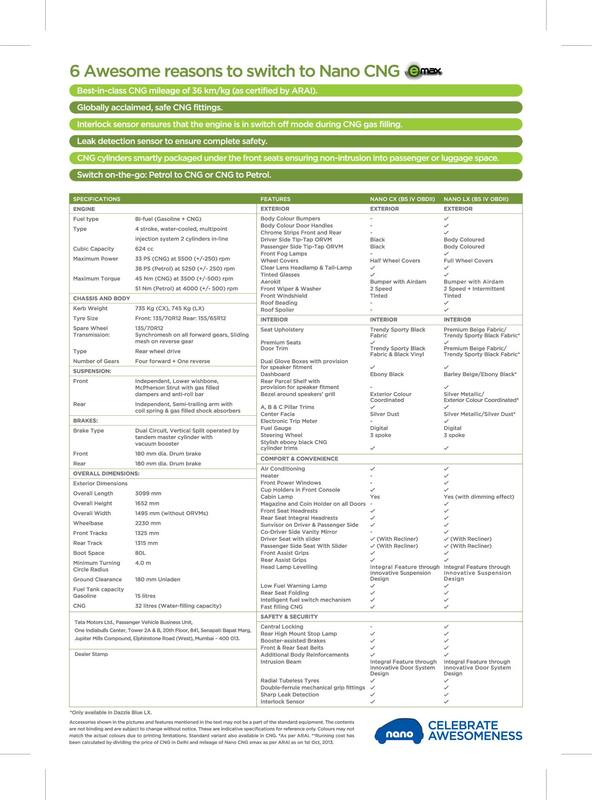 The car’s CNG cylinders are intelligently packaged for maximum luggage space and are smartly fitted under the front seats which do not intrude into passenger or luggage space – an innovation in this vehicle segment. 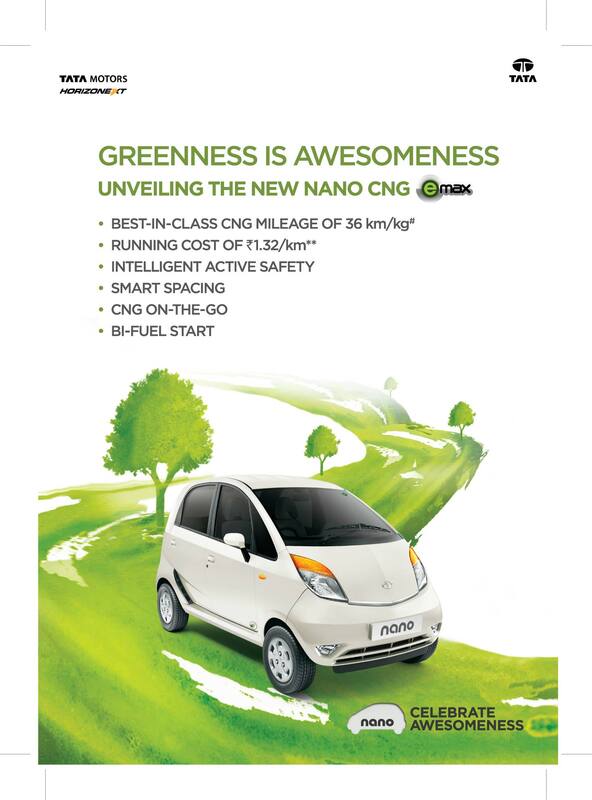 Safety features like leak detection sensors and interlock sensor automatically ensures that the engine is switched off during CNG gas filling, making the car even safer. 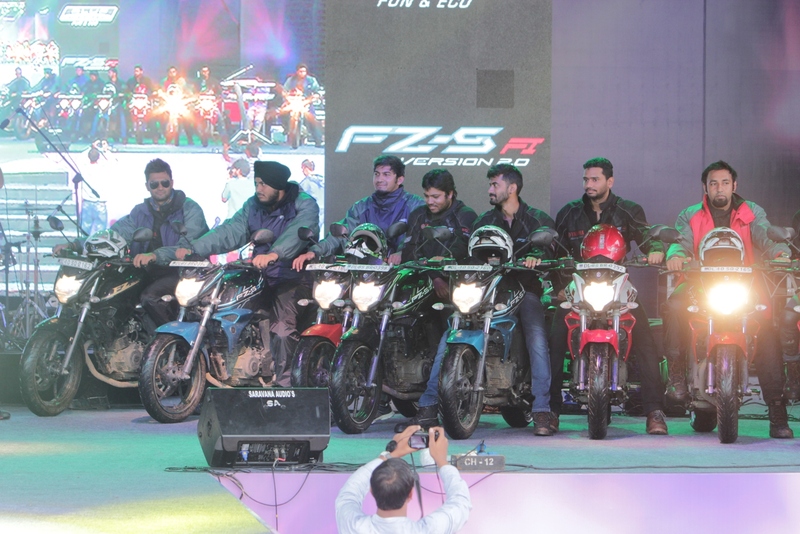 Eco – Friendly car, with improved lowest CO2 emission(carbon footprint) of 75.6 g/km. 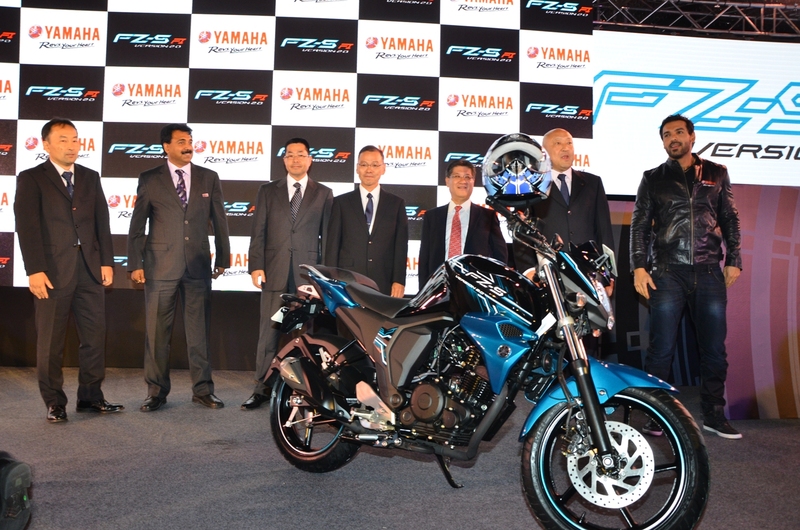 The most fuel efficient car in India with a mileage of 36 km/kg*. Tata Motors is offering warranty of up to 60,000 kms or 4 years (whichever is earlier), the overall proposition results in lowest cost of ownership. 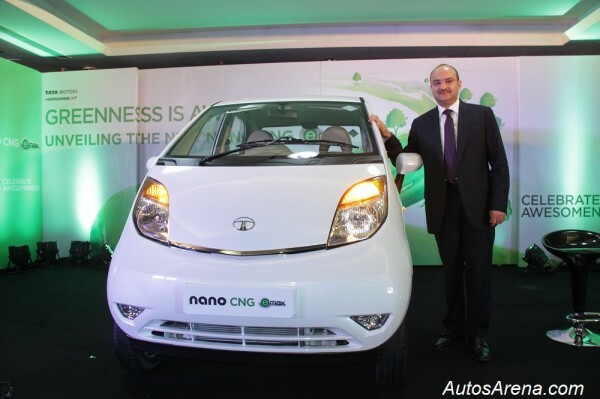 The Tata Nano CNG emax will be available across CNG markets like Delhi, Gujarat, parts of Maharashtra and Lucknow. 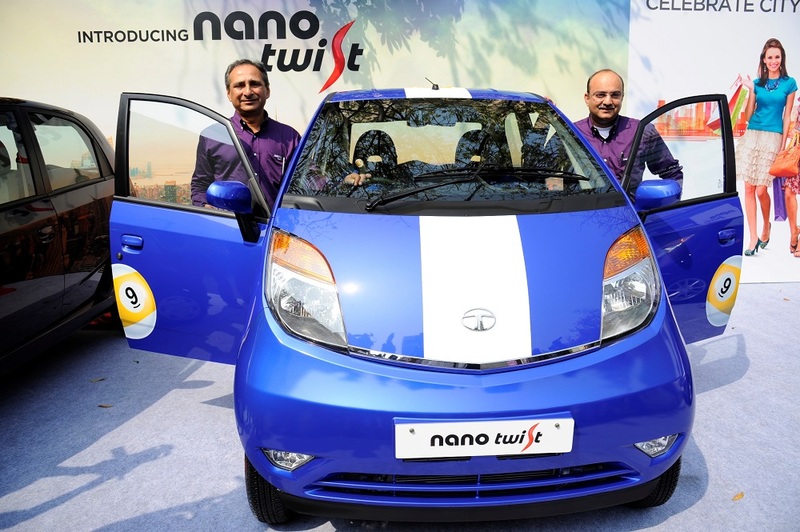 The Nano CNG emax is the first of the five brands in the emax series of CNG cars and the company will launch other products in a phased manner.